Although the legal profession has seen a decline in the hiring of entry-level lawyers, the Association of American Law Schools conference is reinforcing the continuing value of diverse legal education. For members attending the AALS conference in New York—which began yesterday and will last until Sunday—they are clear that law school remains the correct choice for clear and committed students. AALS is a non-profit educational association of 176 law schools representing more than 10,000 law faculty with the purpose of improving the legal profession through legal education. “In a society in which law is as important as it is to ours, where law is becoming more … complex, more … global and the populations that lawyers serve more … diverse, we want to encourage the people for whom it is absolutely the right choice to continue to go to law school,” said Lauren Robel, Indiana University provost and executive vice president and immediate past president of AALS. Daniel Rodriguez, dean of the Northwestern University School of Law and AALS president-elect, said accusations that law schools are failing are largely unfounded. 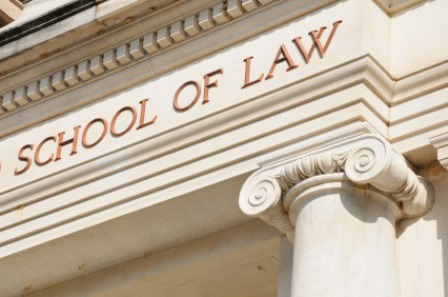 Many law schools are implementing innovative programs to facilitate employment opportunities. Various innovations are also being explored to make law school more affordable—from accelerated programs to distance learning components. AALS president Leo Martinez of the University of California Hastings College of Law noted that change is part of the history of legal education. In recent years, an increasing number of law schools have added legal clinics, where students are actively engaged in working with clients. Rodriguez noted that a number of law schools in the South (with more anticipated in the year ahead) are supporting the work of underserved public defenders through the organization Gideon’s Promise. “That is a singular example of a partnership between various law schools, organizations, governmental organizations and law firms in promoting just the kinds of social justice objectives that are at the heart of what we as professionals need to do to implement justice in the legal profession,” said Rodriguez. Martinez said he’s involved in several public interest organizations in the San Francisco Bay area and has gotten positions at those organizations for four or five of his students. No doubt, law schools have been cautious in hiring new faculty due to diminished attendance and have asked current faculty to take on increased responsibilities. Despite these changes, Robel, Rodriguez and Martinez all said there will not be a decrease in the availability of courses in civil rights, employment discrimination or other discrimination issues.